We would love to hear from you! Please drop us a line. Our story was inspired by one and created by three. Gods graffiti is the culmination of a vision to create a meaningful t-shirt line that inspires others to connect to the Bible and share His message through love, comfort and style. Please join us for a screening of the movie "Forgiveness, the Secret of Peace" Saturday, September 23rd at 7pm. Bring a chair and blanket as the movie will be shown at Carmel Catholic High School in Mundelein, IL on the football field's outdoor scoreboard. 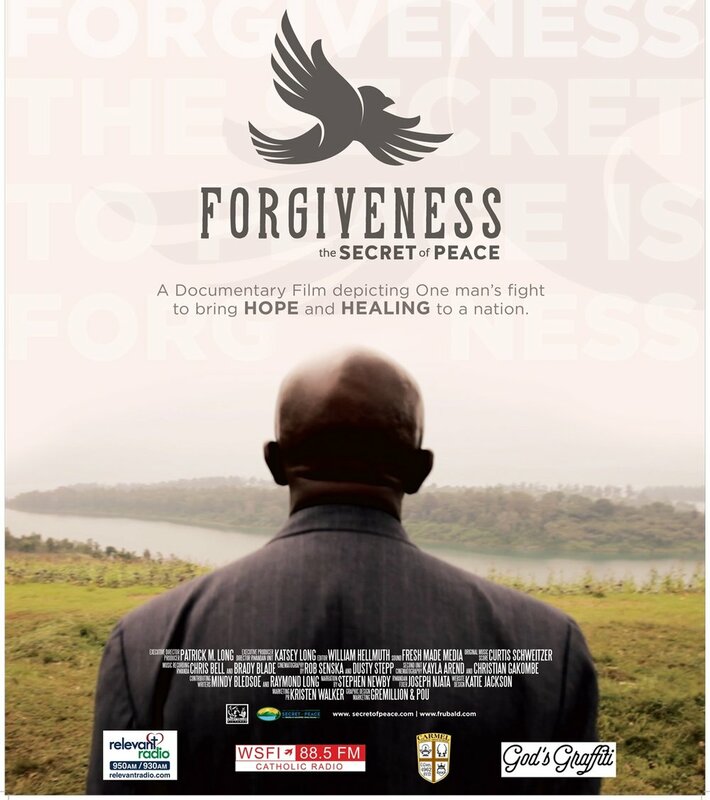 This documentary film is based on the inspiring work and life of Father Ubald Rugirangoga, a survivor of the 1994 Rwandan genocide. His mission is to bring forgiveness and love to the world. Watch the movie trailer here. Tickets $11.99 online or $15 at door, $5 for students. Purchase your tickets here. All proceeds will be used to further his mission. God's Graffiti will have a limited edition hat and tee shirt available for purchase at the movie. Come early and visit My Father's Love Exhibit from 5-7pm Hope to see you there!